First, you should know – I LOVE the hunger games. I thought the series was really well done, and the movies didn’t do such a bad job either. They were thoroughly gorgeous and I can’t get over how awesome all the marketing pieces were. 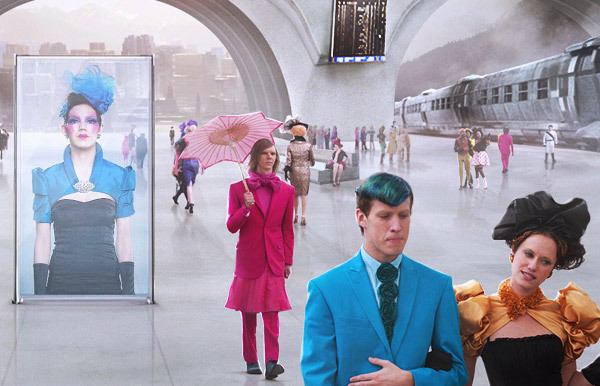 They really captured the ultra consumerism, high fashion, future that I was picturing when I read the books. Many have said they could have taken it even further, but I thought it was spot on. And everything goes together SO WELL. From the costumes to the web animations, everything in this campaign just fits.